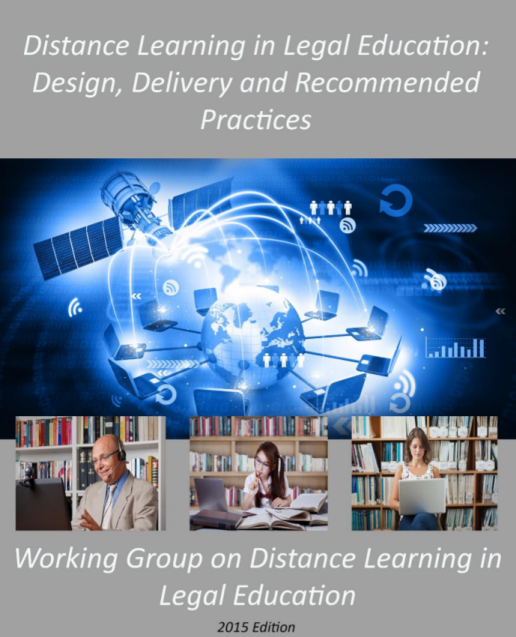 Working Group for Distance Learning in Legal Ed - Finally … The Book “Distance Learning in Legal Education: Design, Delivery and Recommended Practices” is Done! 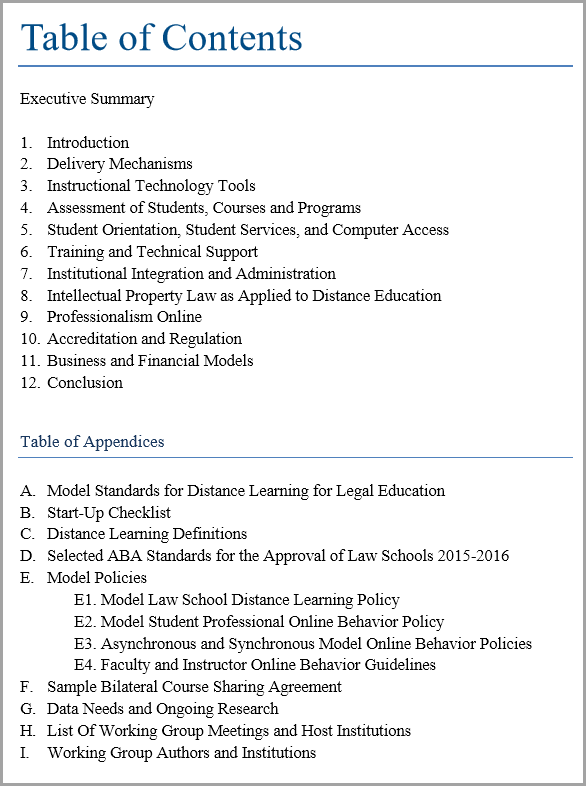 Finally … The Book “Distance Learning in Legal Education: Design, Delivery and Recommended Practices” is Done! I am absolutely thrilled to announce the publication of the the book.. 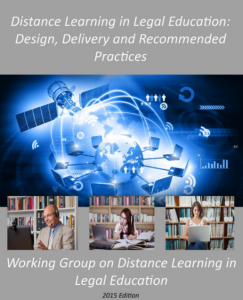 Distance Learning in Legal Education: Design, Delivery and Recommended Practices (2015 Edition). … from the Working Group on Distance Learning in Legal Education. Right now, you can download a PDF version of the book … here. You can also download a Microsoft Word version of the book … here. You can purchase a printed copy of the book from LuLu.com here. We set the cost of purchasing to the cost of printing. There is no profit margin in the price for CALI or the Working Group. We want the information in this book to be shared as far and wide as possible. This book contains the collective and condensed wisdom of dozens of law school professionals and faculty who have worked on distance learning projects at their home institutions. It is a true group effort and CALI is delighted to be helping out with its distribution. In the very near future, you will be able to view an HTML-readable online version of the book and we will be creating .epub and .mobi versions that are compatible with Kindles, Ipads and Androids smartphones. Everyone who contributed to the discussions, drafting-a-athons, editing and ideas has much to be proud of. This book is an excellent resource for law schools, Deans, Associate Deans, Law Faculty and anyone in legal education charged with starting up or running a distance learning project. A glance at the Table of Contents should tell you that all the salient issues are covered. CALI plans to ship a free, printed copy of the book to every law school in the near future. It will probably be mailed directly to the Dean of every CALI-member law school, but in the meantime, the PDF, web and ebook versions will always be available online for free. If you find typos, errors or formatting mistakes, please let me know by putting them in the comments. I will periodically update the electronic files.